Bones, 2009, a collection of earthenware artifacts. All her life Meredith Brickell has been sensitive to her surroundings. “For me, the thread that connects my work is observations of place,” she says. Her early backdrops were pastoral—the New Jersey farm she grew up on, the prairies of Nebraska, where she attended college. 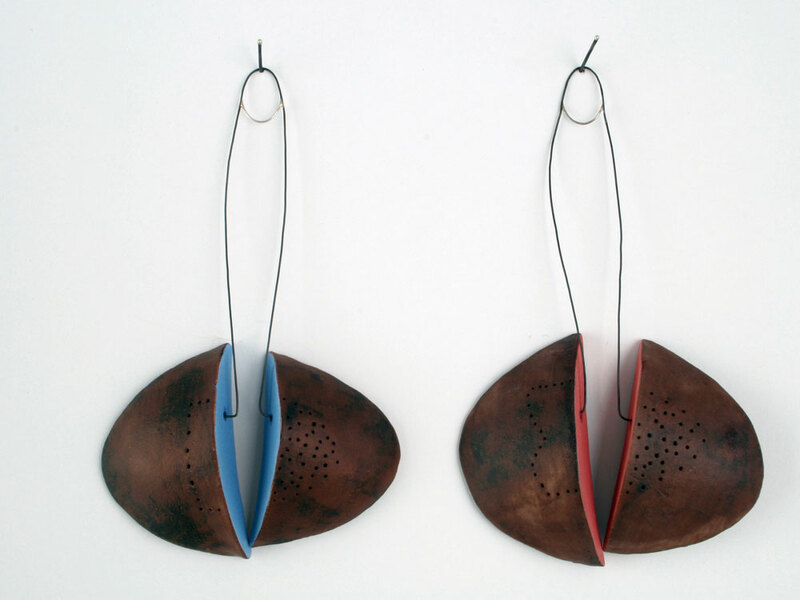 In her ceramic and mixed-media sculpture, Brickell expresses the experience of place in visceral, intuitive ways, through subtle, minimal use of form, line and color. Tanks, a simple arrangement of rustic vessels elevated on scaffolding, stirs sensations associated with pools of water—depth, floating, stillness. 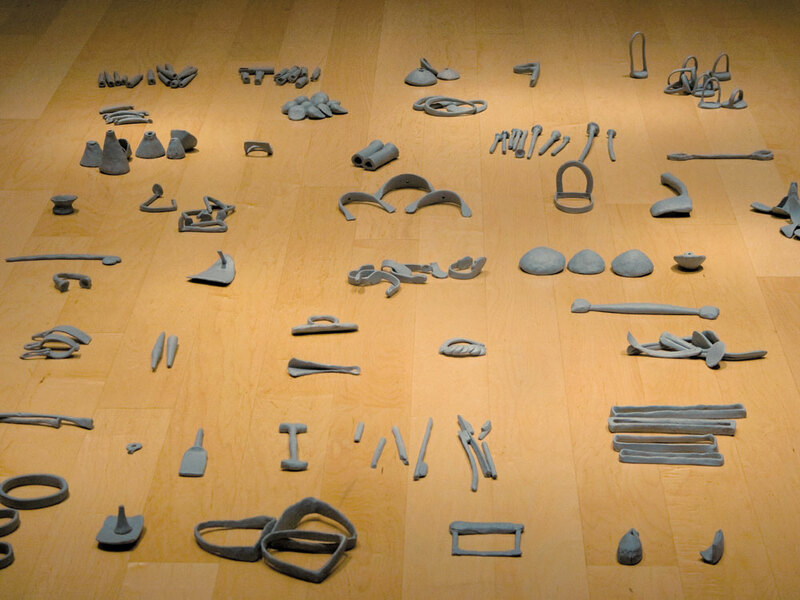 “These containers articulate emptiness, while simultaneously creating a landscape of tangible objects,” she explains. The lone, tiny window in her Raleigh studio inspired Ground View, a series of pastel drawings on plaster panels, offering fragments of a city skyline, glimpsed as if in peripheral vision or darkness. Last year Brickell took part in a collaborative project at the Watershed Center for the Ceramic Arts in Maine that dealt with the concept of place; she and fellow artists created an installation out of found objects gathered on the property (but, in a nod to Watershed's proximity to rivers, lakes and ocean, only things that were blue). Brickell and her husband, furniture designer Ray Duffey, recently moved to Indianapolis, where she has a stimulating new job teaching art at DePauw University. “I love the interdisciplinary dialogues that happen,” she says of the liberal-arts academic environment—how an archaeology class, for example, will visit her ceramics studio. One can’t help but wonder what visions this new ambience will inspire in her art. 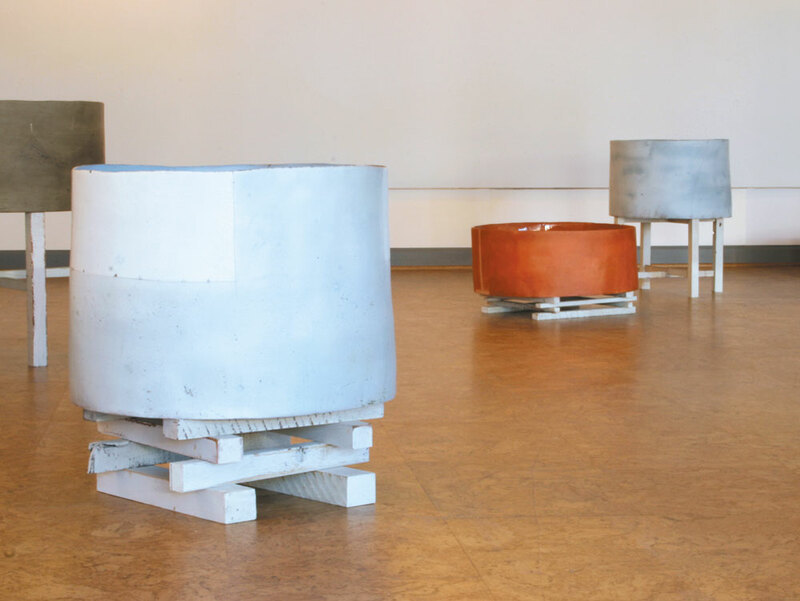 Tanks, 2008, ceramic, wood, milk paint, largest is 32 x 22 x 22 in. Photo Lynn Ruck. Articles and Impressions I, 2008, ceramic, steel, silver, 9 x 4 in. each. Photo Lynn Ruck.